Purchasers of ochs und junior watches are special people! Ludwig Oechslin’s watches provide opportunities for many an enjoyable encounter – some very useful. Some time back, one ochs devotee, for instance, wondered if there would be a more elegant way to fit the 31 date apertures into the space taken by 30 – Ludwig thought up his date spiral. We experience real cross-fertilisation through our ideas, our visions and our products. A few days ago we had the pleasure of handing over a completed luna mese. Unlike mine (see photo), the new purchaser has a personalised version featuring a heat-patinated moon disk at the centre and a white gold representation of Earth. We actually made two of these lunation wheels by machining them after heating them in the oven. We discovered just how hard this makes the material – we broke six tools in the milling process! Our latest purchaser’s watch is a one off, due to a tiny scratch on the moon disk and a couple of heat marks on the dial – not forgetting the natural patination (i.e. life!) that will soon start to make its mark on the solid silver case. The title of this blog (wabi-sabi) refers to the book we received from this Japan expert. 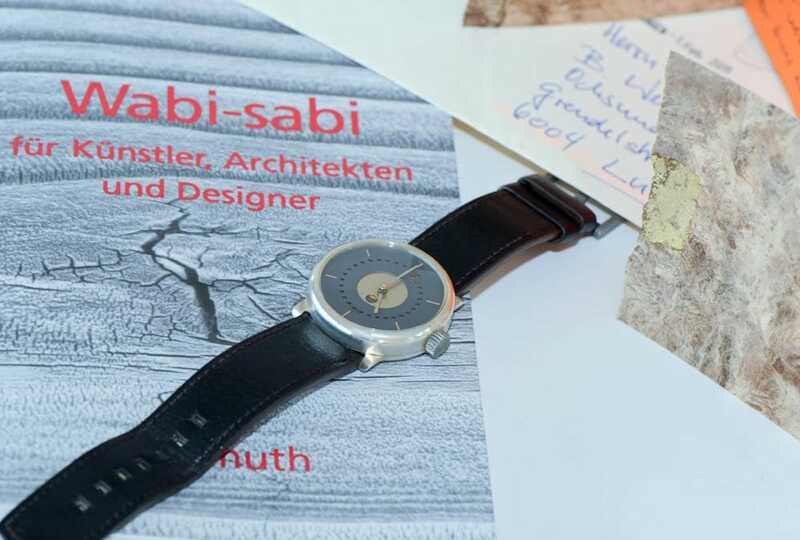 ochs und junior may well be wabi-sabi… it’s certainly a fascinating interpretation of our philosophy! Many thanks for the insight, and we wish our new friend every success with his new luna mese!